This is a partial preview. Full document is 388 slides. View large preview. This is a very comprehensive document with over 350+ slides--covering 56 common management consulting frameworks and methodologies (listed below in alphabetical order). 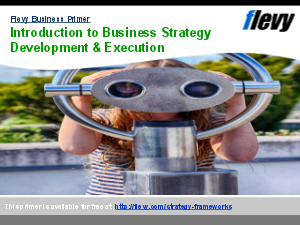 A detailed summary is provided for each business framework. The frameworks in this deck span across Corporate Strategy, Sales, Marketing, Operations, Organization, Change Management, and Finance. The level of detail varies by framework, depending on the nature of the management model. Examples, templates, and case studies are provided. Strategy Frameworks? Consulting Frameworks? Consulting Training? Or something else.